No matter how big your crew is, you don’t want to leave anyone behind when you set off on your adventures. 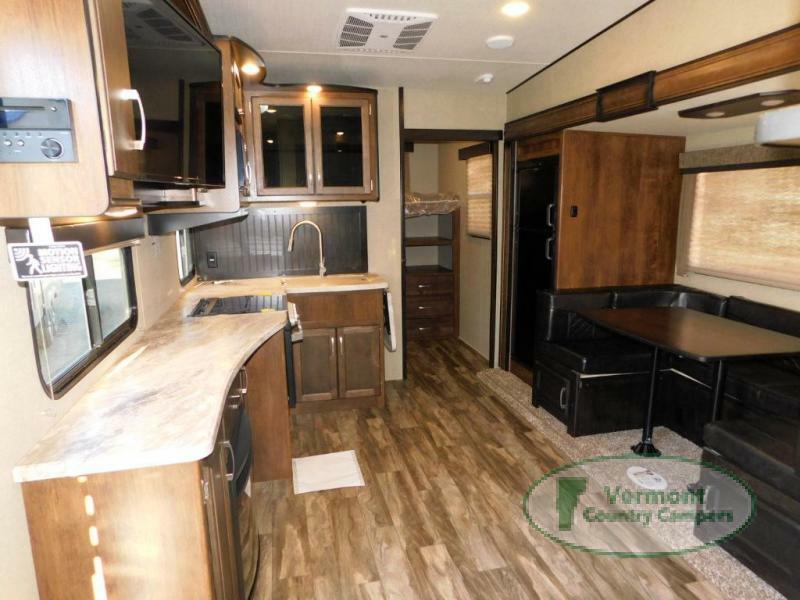 There is quite a selection of campers that will comfortably house 9 or more of your favorite people. We’ve put together a small list so you have a jumping off point for your shopping. Here are some of our favorite camper types and brands that will sleep nine or more. Pack them all in this Grand Design Reflection! 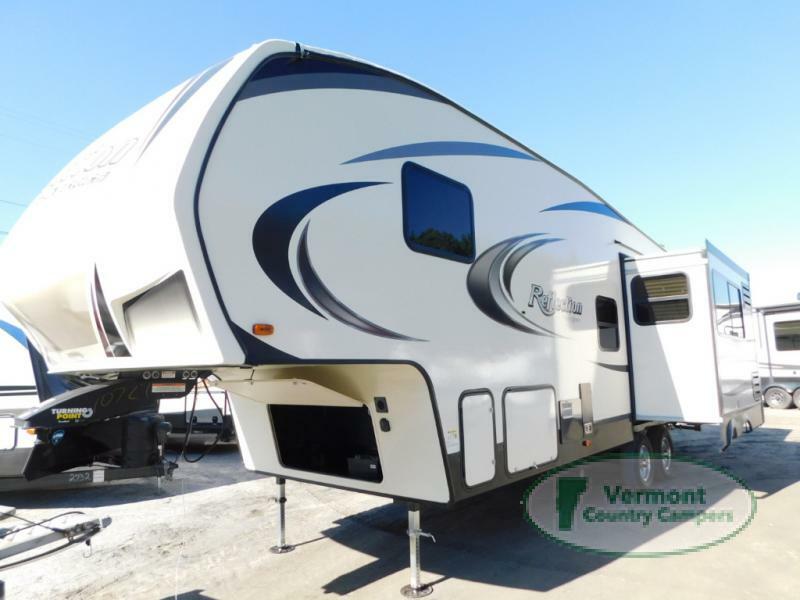 If you camper searches lead you to the fifth wheel family, a great one to explore for a large group would be the Grand Design Reflection 150. This is a perfect family camper for many reasons. There is space to sleep nine comfortably, including a fun bunkhouse for the kids (or kids at heart). There is a roomy kitchen, a great entertainment area and even an outside kitchen. Along with the bunk house, sleeping arrangements include the convertible u-shaped dinette, the tri-fold sofa, (don’t forget the before mentioned bunkhouse) and master bedroom with a comfy queen size bed. 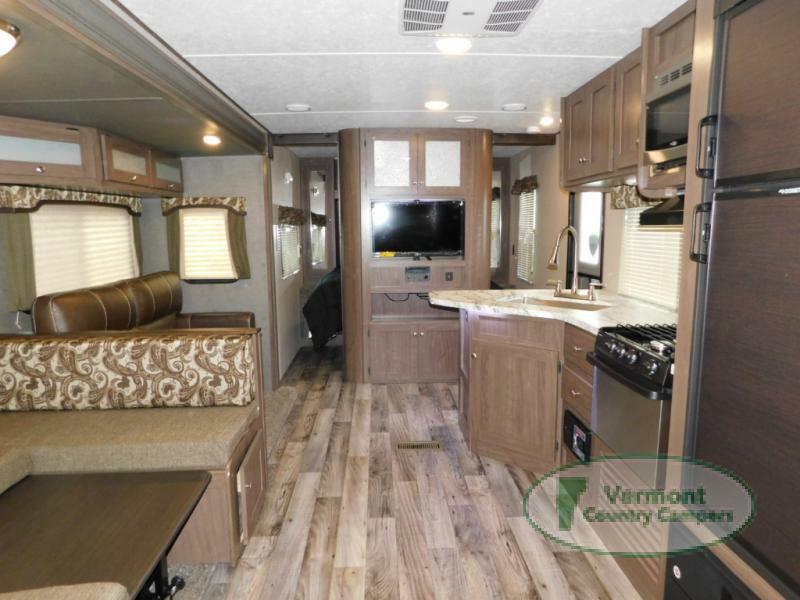 There is plenty of storage in various parts of this RV including under the master bed, under the camper and in cabinets throughout. 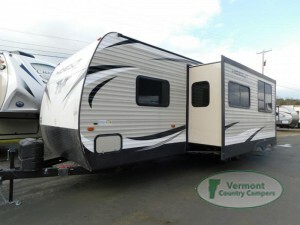 This fifth wheel has everything you need the have a great camping trip full of fun memories. Plenty of room for everyone to spread out. If you are more of the travel trailer type of family, there are plenty of choices to sleep everyone. You can find travel trailers that have most of the features of a large fifth wheel, just in a more cozy package! 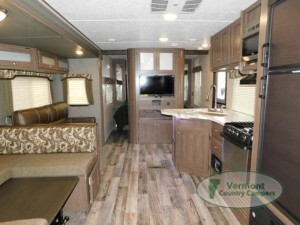 A great one to check out is the Keystone RV Hideout. With the private bunkhouse, master bedroom and u-shaped dinette (that converts, of course) there is plenty of sleeping space for up to 10! Other fun camper essentials include an outdoor kitchen, large pantry, and an electric awning to make additional hangout space. This camper has it all! Plenty of space to eat and hang out! You would think your choices to house 9+ would end there, but we have a surprise for you! There are two other options if you need to sleep a large group. Check out the available expandable and toy hauler options we have available! The expandable are a great option when you need to tow a lighter camper, but still need a roof over quite a few heads. If you are an outdoor ATV enthusiast, the toy hauler is a great option to haul your toys AND your friends. No matter what type of camper you are looking for, we are here to help. From a perfect couples camper, to yes, the ones that will hold over 9 friends or family, we have options you will be excited about! Contact us today for more information or just come on over! Our friendly staff is always here to help you find your perfect RV.